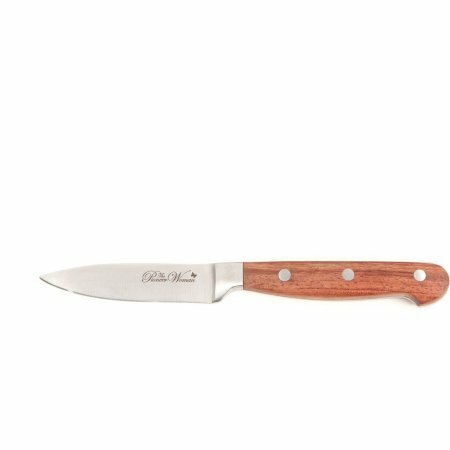 Add an essential tool to kitchen utensils with this The Pioneer Woman Cowboy Rustic 3.5" Paring Knife. The blade is made of stainless steel and has a triple riveted rosewood handle for added sturdiness. This full tang knife features an ergonomic handle that allows for control and comfort in the kitchen. View More In Paring Knives. If you have any questions about this product by The Pioneer Woman, contact us by completing and submitting the form below. If you are looking for a specif part number, please include it with your message.